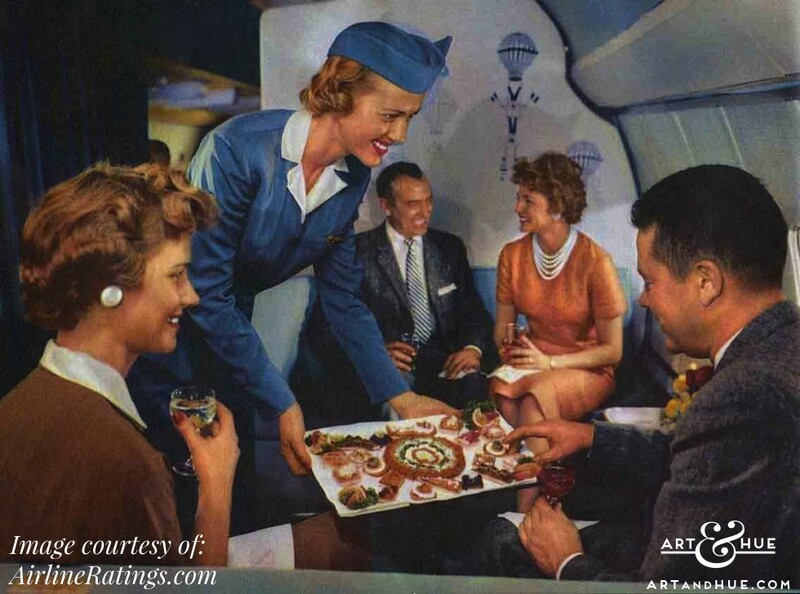 Ah, the golden age of air travel – when flying was a glamorous affair. 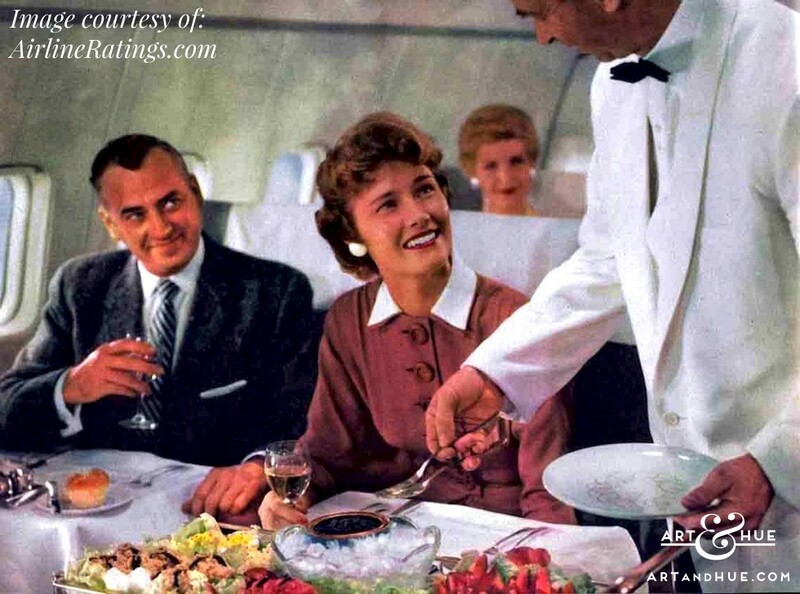 Passengers dressed up, cabin crew broke hearts, and everyone admired the sight of dashing pilots. 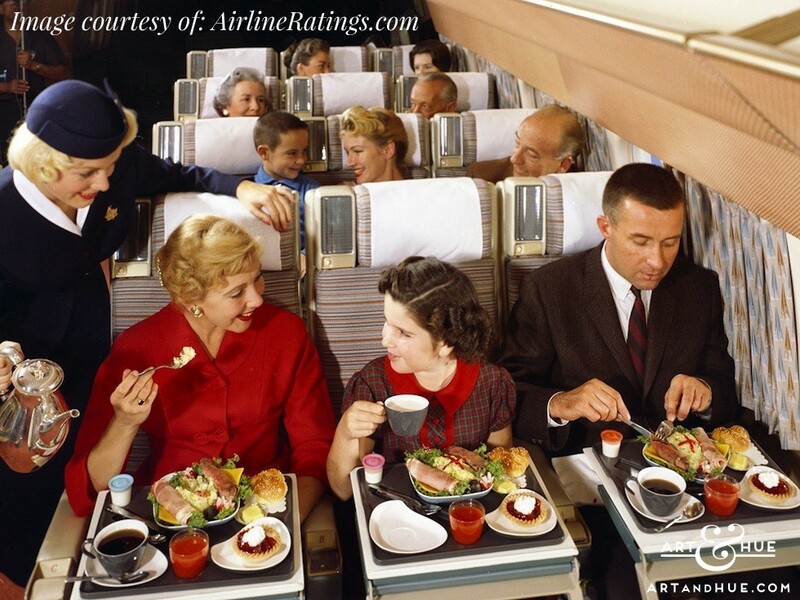 Do we look back at the 1950s & 60s era of aviation with rose-tinted glasses? 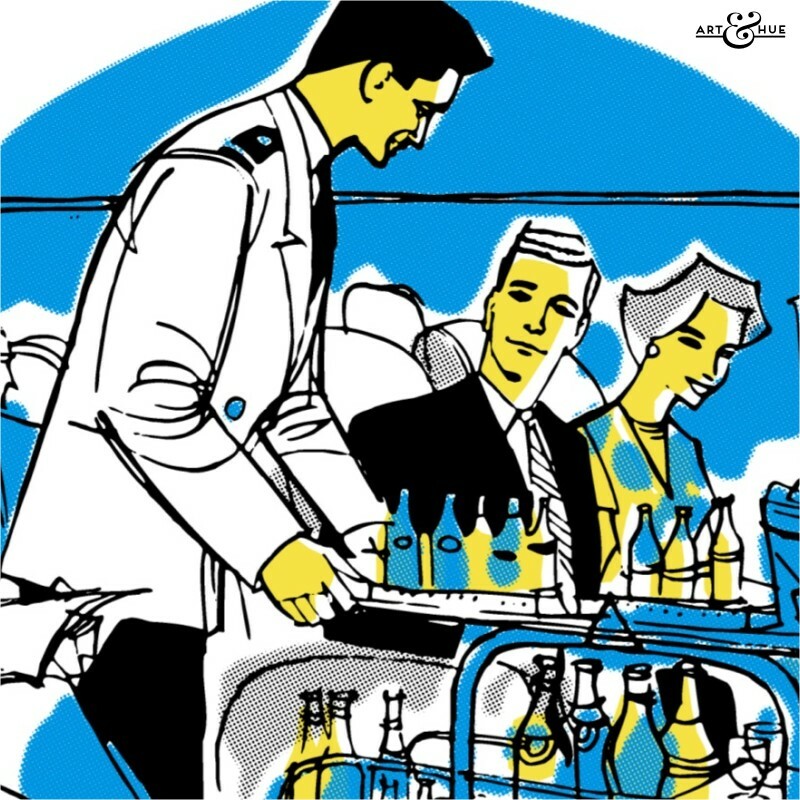 It’s no surprise if there’s a hazy recollection, especially for those on-board at the time, as the glasses were less rose-tinted and more alcohol-filled. 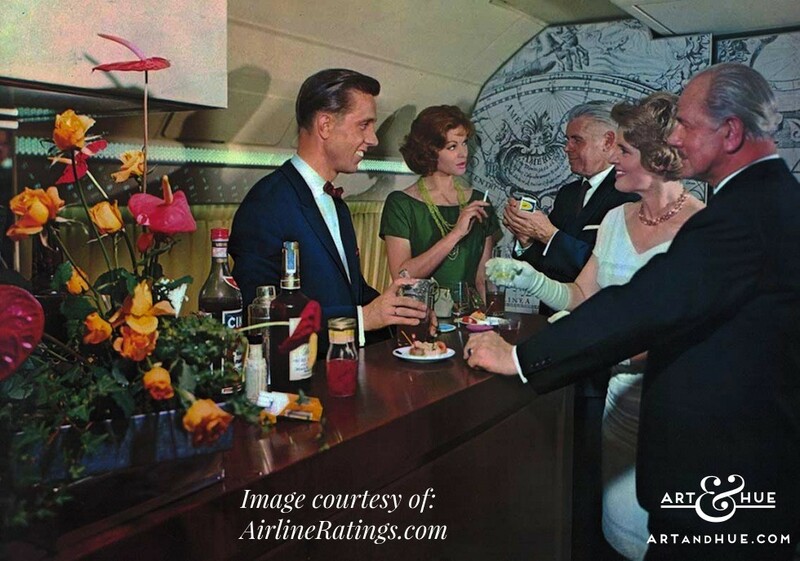 In the days before multi-media systems were installed in the back of every seat, packed full of the latest cinema releases and box sets, in-flight entertainment meant one thing: booze. 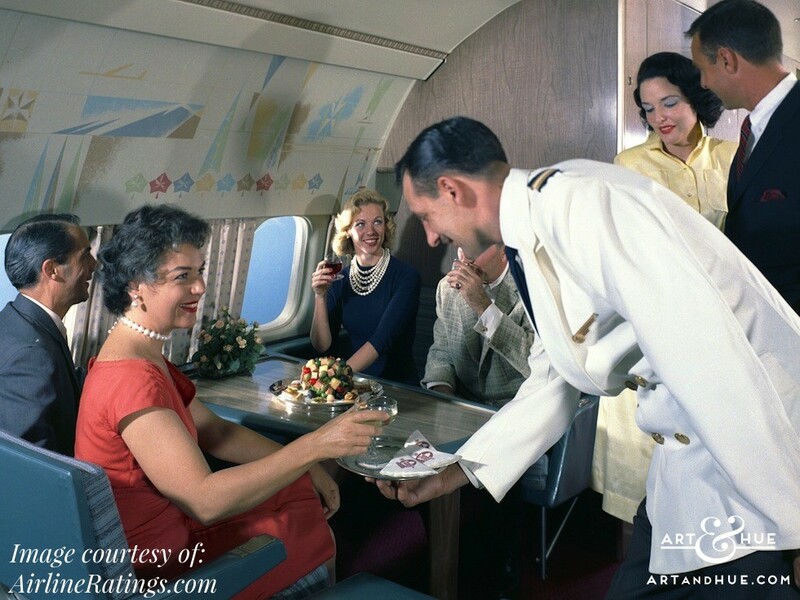 Free-flowing cocktails from the bar or drinks cart fuelled the jet set and must have made every Mid-Century flight seem like party-time – all the drink you could manage brought to your seat with a smile. 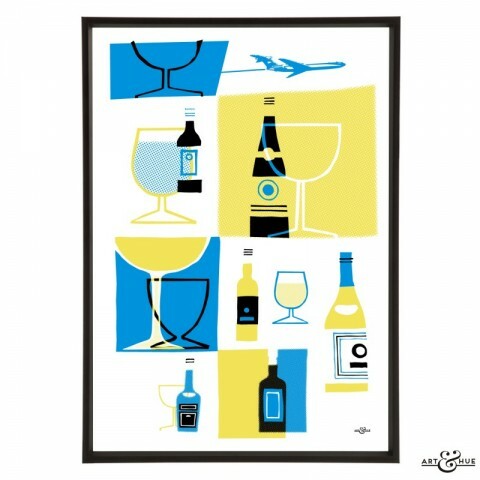 Whilst no-one would, or should, endorse Don Draper levels of consumption nowadays, we can still take inspiration from the jet set when it comes to a stylish evening cocktail, or two, as well as our interiors. 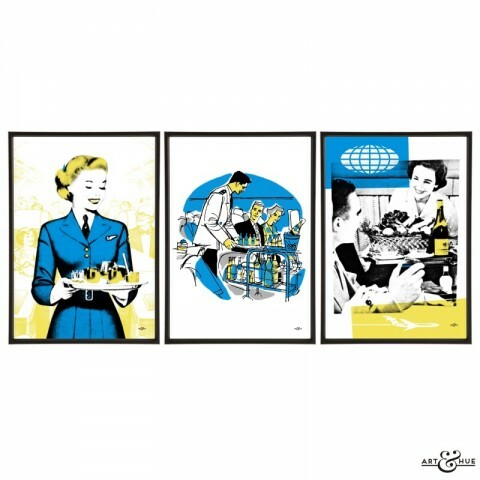 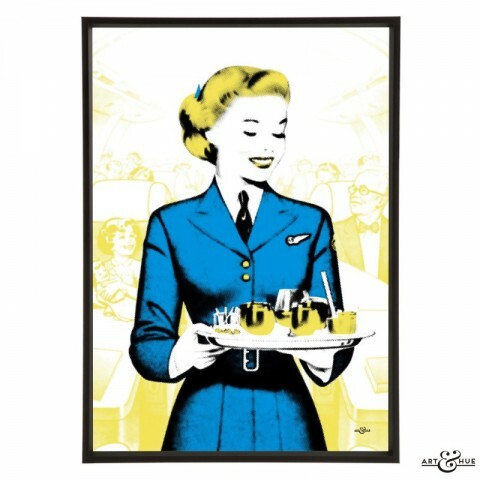 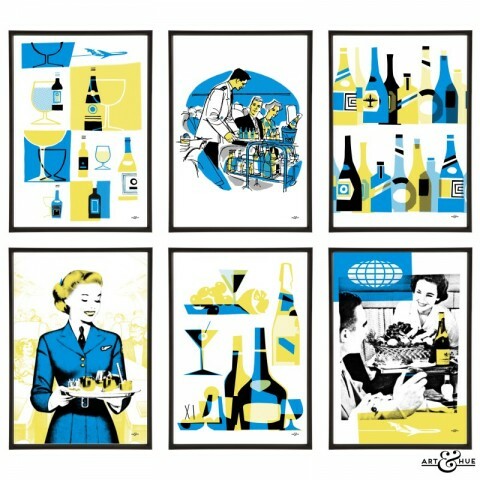 From streamlined cocktail shakers and bar carts, to aviation art prints referencing the golden age of the jet set, Mid-Century air travel is a timeless and perpetually elegant theme to welcome into our homes. 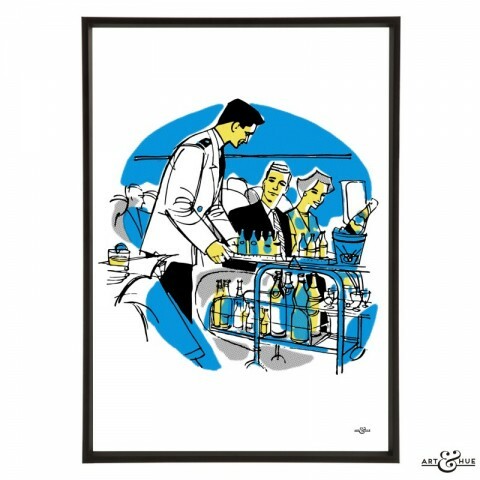 The Jet-set era of stylish travel continues to inspire Art & Hue and it’s the measure-happy hospitality of drinks carts and cabin bars that has influenced the latest collection of Jet Set Drinks prints. 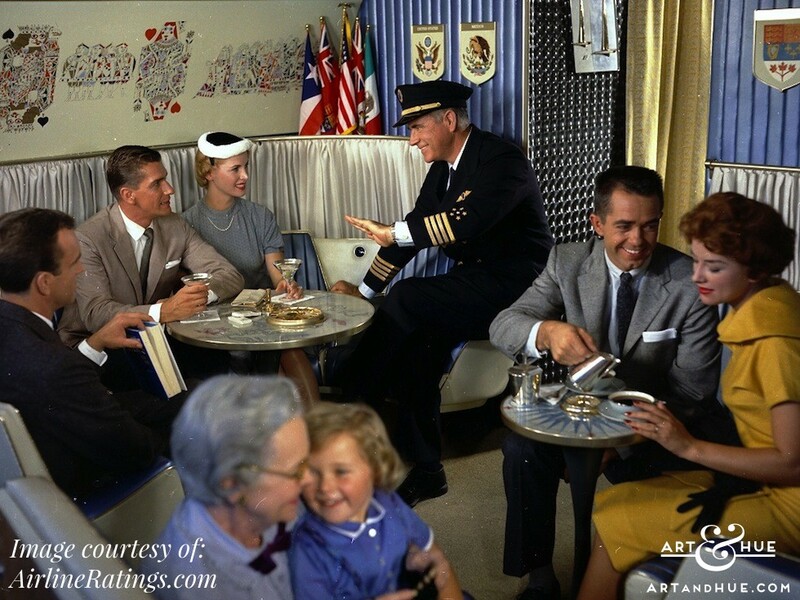 Take a step back in time by looking at the images below of passengers in the 1950s and 60s, all living the high life. 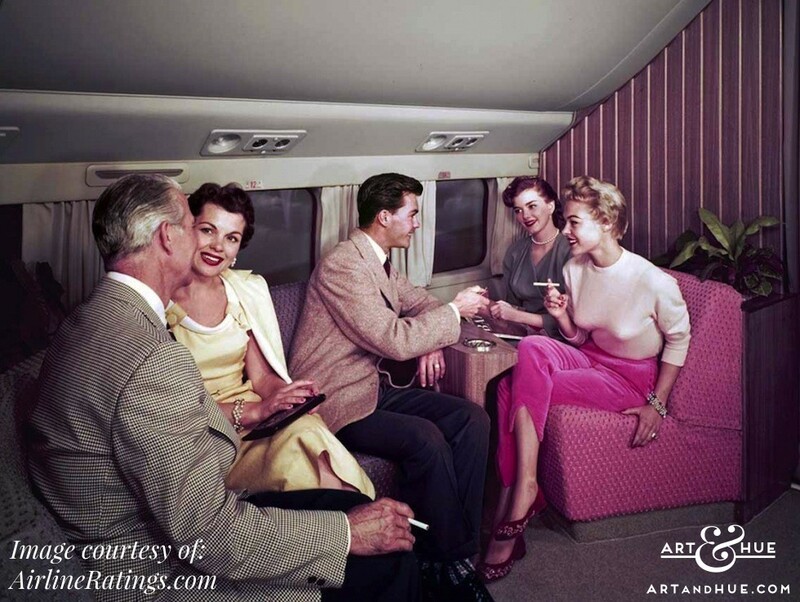 Ok, it might be that these vintage publicity shots feature models rather than real travellers, but they’re still fabulous and give a taste of the on-board experience during the golden age of air travel. 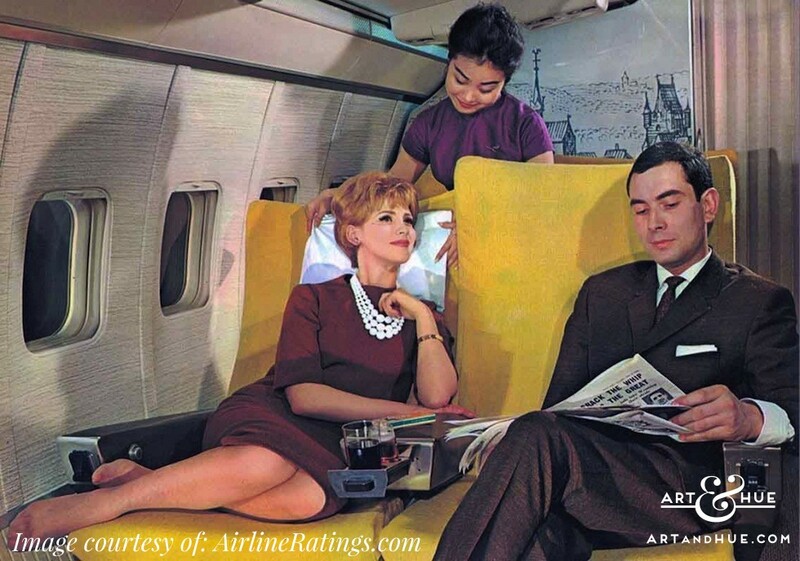 These images come courtesy of AirlineRatings.com, who have amassed a wonderful collection of archive pictures rescued from the publicity offices of airlines, some now defunct such as BOAC (the state-owned British airline). 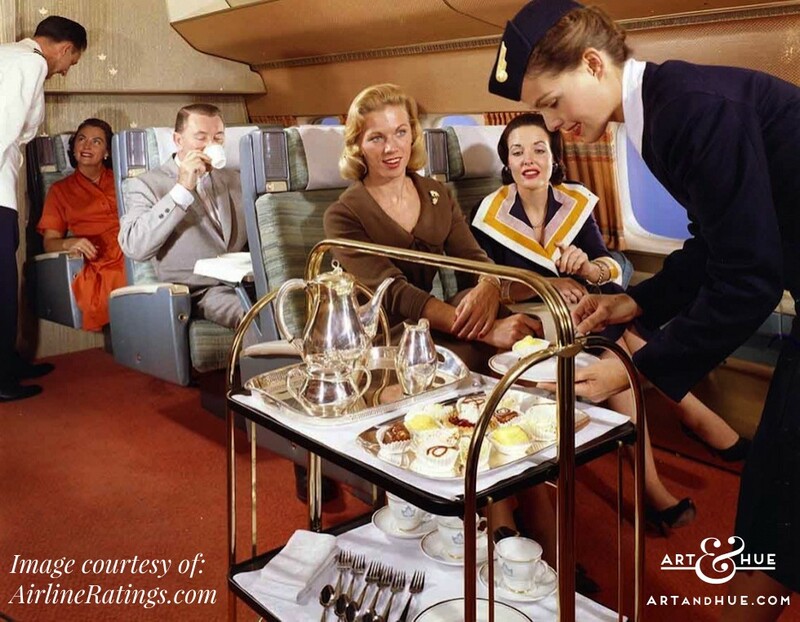 Thanks to Geoffrey Thomas of AirlineRatings.com for permission to use the images below in this blog post. 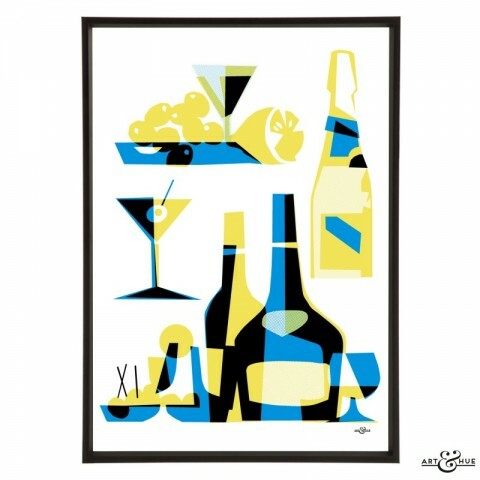 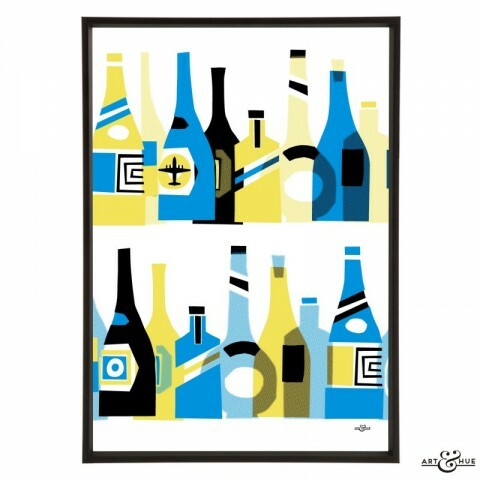 Ideal for a home bar area, dining room, party pad, or hospitable lounge, Art & Hue’s Jet Set Drinks collection brings the timeless style of Mid-Century travel to your walls. 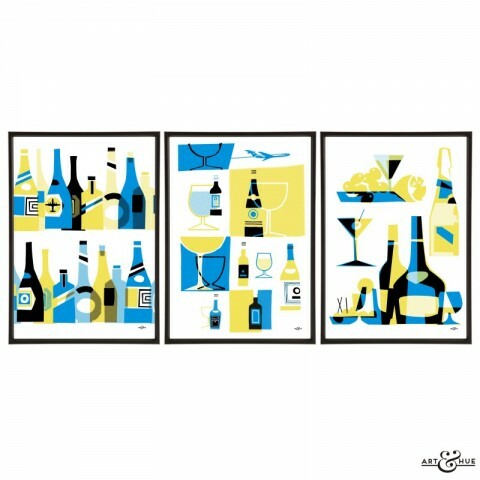 These new prints expand the popular Jet Set collection, as seen in interior design bible Elle Decoration, which also features Modernist airports & city skylines, all available in three sizes & a wide choice colour options. 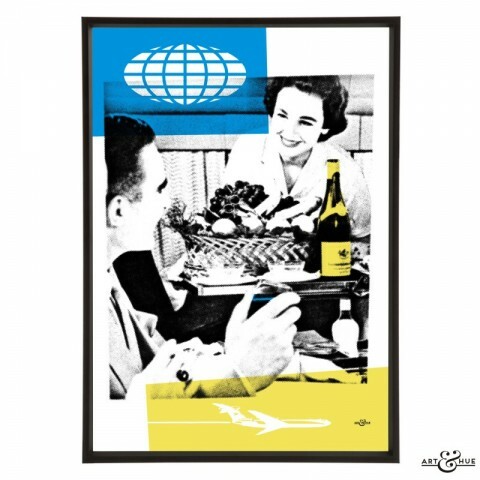 See the full Jet Set collection here.